10. 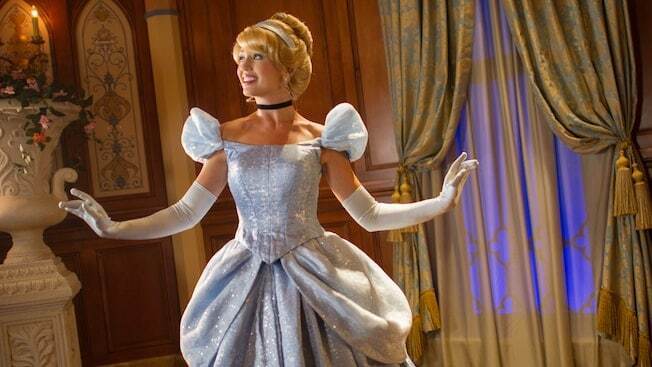 Meet royalty at Princess Fairytale Hall. When it’s wet outside, you can stay dry and meet Disney royalty at the same time! On one side of the beautiful Princess Fairytale Hall in Fantasyland at Magic Kingdom, you can greet Cinderella and Elena of Avalor, pose for pictures and have these fair ladies sign your autograph book. On the other side of Fairytale Hall, you can have the same magical experience with Rapunzel and Princess Tiana. These are two separate attractions, and you will forget all about the rain as you spend time with these four beautiful royal ladies.